Background/Info: Form Follows Function (FFF) is a German duo set up in 2017 by Bianca Stücker (lyrics and vocals) and Winus Rilinger (music). 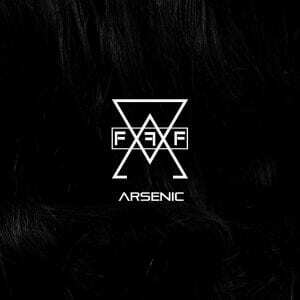 “Arsenic” is the band’s debut album, which has been introduced as ‘alchemical electro’. 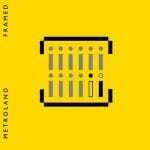 Content: I didn’t have any idea how ‘alchemical electro’ sound like, but it clearly mixes elements of electro-pop, new-wave and EBM together. The vocal of Bianca Stücker is an essential element of the album. The songs have been sung in English, but you also will discover 2 cuts sung in Spanish. 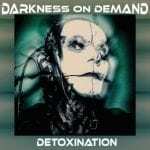 Some of the songs are danceable and melodic, now and then reinforced by heavier EBM bass lines, but you also will hear more evasive passages. + + + : Bianca Stücker who got previously released in other formations such as Dead Turns Alive clearly appears to be the main strength of this new band. She injects a truly spirit to the music and I especially like to hear her singing on the title song where the pitch of her voice is higher. Sound-wise I’ve a preference for the few harder cuts of the album, which are carried by solid bass lines. “Entierro En Campana” is a cool song illustrating this body-pop flavor, but I also have to mention “Dance Of The Dead”, “Compete/Fail” and “The First Matter”. – – – : The songs are pretty similar to each other, the band abusing of the same sound formula. Conclusion: This debut work reveals interesting ideas, but is missing a climax. Best songs: “Entierro En Campana”, “Dance Of The Dead”, “Compete/Fail”, “The First Matter”, “Arsenic”.